Looking for the Best Dentist in Camas WA? Your Search Ends Here! 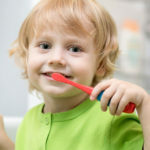 Often known as the pediatricians of the dentistry world, pediatric dentists can make a difference when it comes to providing complete preventative and therapeutic oral health care needs of your child. The best dentist Camas WAoffers, Dr Shebani is the right choice for parents who want only the most comprehensive dental care for their child. Dr. Shebani and her team offer specialized focus on the child’s needs. She is skilled at treating children keeping growth, development and child psychology in mind. With a focus on continued care and regular monitoring, she is the best dentist Camas WA has for children at any stage of development. From child sized infrastructure and dental tools to a reassuring manner to ensure a stress-free dental experience for your child. Dr Shebani and her team excel in dental care and respond to your child’s need with sensitivity and competence.